David Thompson acquires MMATS Professional Audio. “We are exited about this new journey. 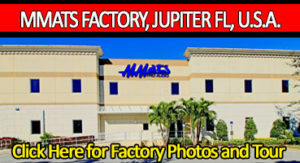 MMATS is coming stronger with new products, pricing, and more ! !” 100% Engineered, designed, and manufactured in Florida, USA! Our extreme passion for car audio dates back to the late 70’s. Growing up, we were all car audio enthusiasts and this was the drive that brought us to where we are today. The actual beginning of MMATS Professional Audio was in January of 1990. By 1994 we brought our first amplifier to market. It was, at that time, a very high-end product utilizing a Military Spec part called the LM-12, a self-contained 150 watt operational amplifier in a TO-3 package. Because the “bigger must be better” approach was the common misconception, we did not realize how difficult it would be to market such a small amplifier that produced as much power as it did. In 1995, we totally broke the mold with the introduction of the D100HC that produced 1200 watts RMS and was only 12 inches in length. MMATS was the first company in the world to break the 100 watt per linear inch threshold. Today, we have increased that amount to over 200 watts per linear inch with our D3500….and we’re still not done yet! By the end of 1995 we designed and engineered our very first true Class D mono-block amplifier for car audio. Many of our competitors sat on the sidelines and watched as we developed a niche market that is still being followed today. 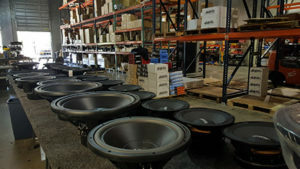 MMATS Professional Audio is THE company that pioneered the Class D topology for car audio use. There has never been a greater single design approach that totally revolutionized sub-woofer amplification. And along came the JUGGERNAUT 55 pounds of shear SPL. Nick-named the “S troker Killer”, that is what it did. The JUGGERNAUT was the very first Quad voice coil woofer to hit the market and it later caused most organized competition bodies to disqualify it due to its dominance. 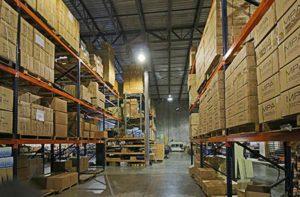 In 1997-2000 we established numerous records. We totally dominated the DB Drag circuit. For 3 years we held the Extreme Cup trophy and held the Death Match record for 5 consecutive years. Fun, Fun, Fun,….and a lot of name recognition to boot.